Hey there. Here, I make stuff, like games, animations, collabs and memes. Hope you like what I make! 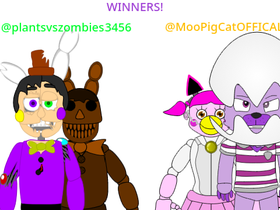 Winners of the PTBM Easter DLC Contest! Plandy's Studios of Drawings and Arts! Sans's Basics In Trap-Solving and Capturing Hunt!